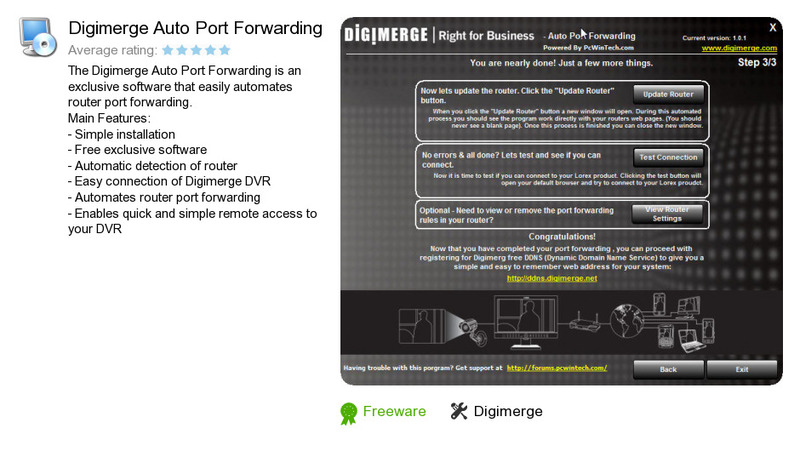 Digimerge Auto Port Forwarding is a software product developed by Digimerge. We know of versions 1.1, 1.0. Version 1.1.0 is downloadable at our site. Digimerge Auto Port Forwarding installation file has a size of 4,231,136 bytes.